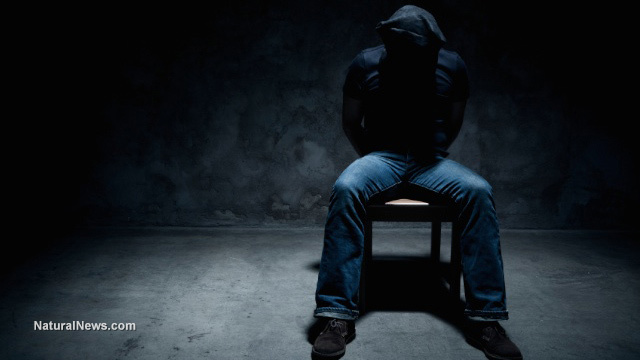 (NaturalNews) More than 3,500 Americans have been held by police in Chicago without being afforded basic civil liberties and constitutional protections at a so-called "black site," Britain's Guardian newspaper reports. The "police warehouse" at Homan Square has been described by a number of former detainees as a secret interrogation facility, newly unearthed documents have shown, according to the paper, which sued the Chicago Police Department to obtain them. Of those thousands held at Homan Square over the course of 10 years, 82 percent were African American, the paper reported, without further noting that the city of Chicago has been run for decades by members of the Democrat Party, which claims to be "more compassionate" toward minorities. Only three of them had received documented visits from attorneys, according to the records reviewed. Despite repeated denials from the Chicago police department that the warehouse is a secretive, off-the-books anomaly, the Homan Square files begin to show how the city's most vulnerable people get lost in its criminal justice system. People held at Homan Square have been subsequently charged with everything from "drinking alcohol on the public way" to murder. But the scale of the detentions – and the racial disparity therein – raises the prospect of major civil-rights violations. But in truth, holding suspects without affording them proper representation and constitutional protections are violations of essential civil rights, regardless of their race, though clearly the paper's reporters – Spencer Ackerman and Zach Stafford – seem fixated on that one aspect. There is otherwise no information to indicate that Chicago Police purposely singled out racial minorities for special persecution, despite the "disparity" in numbers. Nevertheless, the documents obtained by The Guardian show that detainees are disproportionately minorities, accused of low-level crimes and were faced with being forced to incriminate themselves before their arrests even appeared in a booking system so their families and attorneys could find them. The CPD has continually maintained that the Homan Square facility is not secret, as much as it was a base for undercover police operating in plain site. The denials came even as The Guardian reported that people were being shackled and held there for hours, even days, and many without access to legal assistance..
"There are always records of anyone who is arrested by CPD, and this is no different at Homan Square," a police statement said in March. -- "Between September 2004 and June 2015, around 3,540 people were eventually charged, mostly with forms of drug possession – primarily heroin, as well as marijuana and cocaine – but also for minor infractions such as traffic violations, public urination and driving without a seatbelt." -- "More than 82% of the Homan Square arrests thus far disclosed – or 2,974 arrests – are of black people, while 8.5% are of white people. Chicago, according to the 2010 US census, is 33% black and 32% white." -- "Over two-thirds of the arrests at Homan Square thus far revealed – at least 2,522 – occurred under the tenure of Mayor Rahm Emanuel, the former top aide to Barack Obama who has said of Homan Square that the police working under him 'follow all the rules'." There is much more contained in the documents. Also, the records only date back to 2004. "I am extremely troubled but sadly not shocked at the exceedingly broad scope and fundamentally racist nature of the unconstitutional police conduct at Homan Square that the Guardian's most recent study documents," Flint Taylor, who played a big role in pressuring Emanuel and the city to create a reparations fund for victims of police torture, told the paper. You can read the entire Guardian report here.